If you have forgotten your Formidable password, we will send password reset instructions to the email address associated with your account profile. 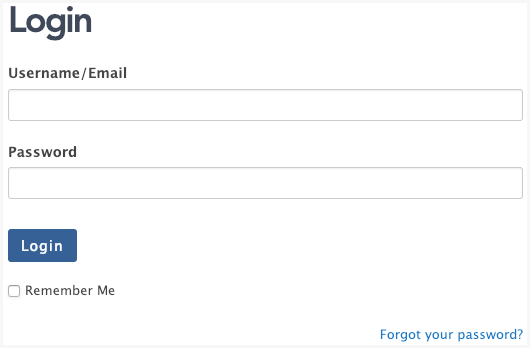 Below the login form, click Forgot your password? You will be redirected to the next page to reset your password. Enter your username or email address that you used to purchase the license and click Get New Password. 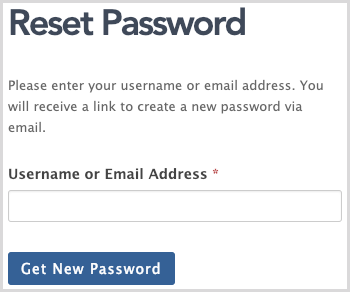 A password reset email will be sent to the email address on file for your account. Click the link to reset your password. Note that this may take several minutes to show up in your inbox. Enter your New Password and Confirm New Password. 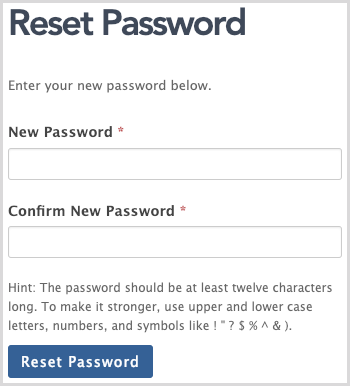 The password you choose should be at least twelve characters long. To make it stronger, use upper and lower case letters, numbers, and symbols like ! " ? $ % ^ &). Scroll down to the bottom of the page to find the Password section. Enter your preferred New Password in the two fields. You're trying to sign in with an email address different from what you used to purchase the license. Check the Purchase Information email sent to your inbox when you first purchase the Formidable license. This should include the username or email address of your login information. A developer used his own license to install Formidable on your site. You could either contact the developer to update the Formidable account information to your email address so you can login or you could purchase your own license.